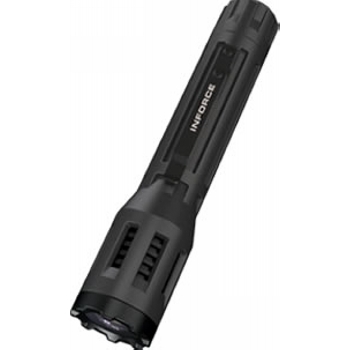 The 300-lumen INFORCE 9vx LED Flashlight balances penetrating brightness with super usability under varying field conditions. 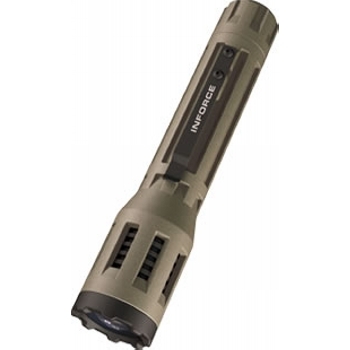 The ultimate in multi-functionality, the 9vx provides the ability to customize the light to your preferences by reversing the high/low power setting to low/high, or disabling the strobe, if desired, and includes momentary and lockout features. Its vented fiber composite body reduces heat buildup, keeping the light cool for the duration of the task at hand. MIL-STD-810F certified. Available in Black and Sand.